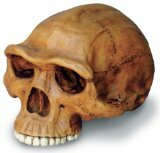 "Skullduggery has been manufacturing fossil replicas, craft kits, and toys in the United States since 1987. We offer high quality replicas and unique, award-winning toys for children of all ages. If you are looking for a gift for that hard-to-buy-for friend or relative, you have come to the right place!" Classroom Science Kits, and Fossil Replicas. Skullduggery’s product lines have been designed to appeal to specialty toy stores throughout the world."